The stock dipped 5 per cent to Rs 303 on the BSE after the company said its board of directors approved a fund raising plan of up to Rs 32,000 crore through a mix of rights issue and bond. Shares of Bharti Airtel dipped 5 per cent to Rs 303 on the BSE in intra-day trade after the company said its board of directors approved a fund raising plan of up to Rs 32,000 crore through a mix of rights issue and bond. “The board of directors of Bharti Airtel, in its meeting held on Thursday, February 28, 2019, has considered the recommendations of 'Special Committee of Directors for Fund Raising' and thereby approved the fund raising of upto Rs 32,000 crore through rights issuance of upto Rs 25,000 crore; and Perpetual Bond with equity credit upto Rs 7000 crore,” Bharti Airtel said in a regulatory filing. The rights issue would comprise fully paid-up equity shares of the company for an amount aggregating up to Rs 25,000 crore to eligible equity shareholders as on the record date, which will be notified subsequently and in accordance with applicable laws. The rights issue price would be Rs 220 per fully paid equity share (including a premium of Rs 215 per fully paid equity share over face value of Rs 5 per share) and the rights entitlement ratio would be 19 shares for every 67 shares held by eligible shareholders as on the record date, the company said. According to Motilal Oswal Securities, the fund raise is likely to bring down net debt/EBITDA sharply to 3.5x (FY19), as against the current estimate of 4.5x. 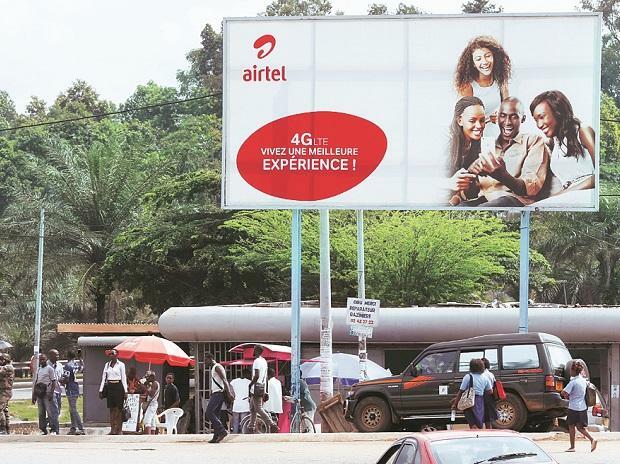 Additionally, the plans of Africa IPO and Bharti Infratel stake sale will help raise Rs 40,000 crore, which should reduce its net debt to Rs 47,500 crore (net debt to EBITDA of 1.6x) by FY21. Moreover, we believe that capex intensity has peaked out, which should reduce its annual cash burn from Rs 16,900 crore in FY19 to positive free cash flow of around Rs 4,300 crore in FY21, thus restricting the increase in net debt. In our view, despite the steep dilution, the fund raising plan is a welcome positive which will allow Bharti to be self-sufficient and manage operations without any average revenue per user (ARPU) increase, the brokerage firm said. At 10.47 am, Bharti Airtel was trading 4.4 per cent lower at Rs 304 on the BSE. In comparison, the S&P BSE Sensex was up 0.57 per cent at 36,072 points. The trading volumes on the counter jumped nearly three-fold with a combined 11 million equity shares changed hands on the NSE and BSE so far.